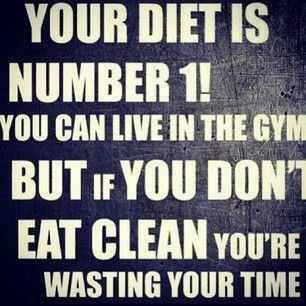 I hear something along these lines all the time, "As much as you workout, you can eat whatever you want." Michael and I have even had conversations about how can we get this "theory" out of people's minds, because it's not true! There's a quote I've heard Michael say several times, "You can't out train a bad diet". This week I have an excellent example of how you can't eat whatever you want just because you workout a lot. In fact, I hope to also crush that other "theory" people have, "To lose weight you must cut your calories." The past couple weeks I've had a lot going on, not sleeping well, lots of stress at work and in my personal life, missed a few workouts, and low appetite causing me to consume very few calories on several of the days. I didn't weigh in last week, but I did today, and from two weeks ago I was up 5.2 pounds. First thing I did was walk out of the fitness center and as I was texting Michael just broke down and cried. I expected a gain just from everything going on the past couple weeks, but I guess when I actually saw the actual gain, it was just more than I could handle. I just mentioned on our FT Client FB page that I have no problem at all being able to say the right things to motivate others when they are struggling and down, but for some reason I have the hardest time staying positive and motivating myself when it comes to myself and my struggles (Which is why I LOVE my Fitness Together family so much!). Here's the point I want to make out of this post. Now, despite my bad weigh in, several Fitness Together clients had great results this week, including my FT sister Charla! She told me today Michael had given her suggestions on her calorie intake that included a couple days where she would eat up to 1600 calories, this made her nervous and wouldn't go that high. But, guess what, the past two weeks she decided to "trust the process" and ate the recommended calories and she lost 4.6 pounds, making her total in the past two weeks 7.8 pounds! She did put in a lot of hard work and getting in 22 workouts this week (yeah, she's officially crazy, in a good way, like me....lol), but those workouts would have been futile if she would have just eaten "whatever she wanted". Now, on the flip side....I did miss last Saturdays workout and two lunch workouts this week, but still made sure I got in there at least twice a day for my morning and evening sessions. But, I had four days in a row where I only took in about 500 calories each day and had several days where I barely got in over 1000 (and this included my high carb days). So, that theory "that you'll lose weight by taking in less calories" has just been debunked! If that theory were true, I should have lost weight this week, but instead I had gained 5.2 pounds! You hear about keeping everything balanced, and this is exactly why it's important you're doing exactly that! And I know it's hard to know what or how to do this, but if you really want to make the changes it's up to you to take the initiative to figure it out. You have too many resources out there to have the excuse, "I don't know what I should be eating or how I should be working out" to continue your unhealthy lifestyle. You have nutritionist and personal trainers who are full of knowledge about this stuff you could hire to help you. Or, if you don't want to invest in hiring someone, then there's many resources online or even the good old fashioned library of books could possibly help. Either way, it's your choice, just don't expect a lot of sympathy from people if you don't get the results you want if you're not even trying to do anything about it. You CAN'T eat whatever you want just because you workout a lot....and, eating less calories DOES NOT mean you will lose weight. BUT.....IT IS about eating the right foods and making sure you're taking in healthy calories and working out regularly!